This is my sixth recipe in the series that I have developed for Mackays, the Scottish makers of marmalades, preserves, curds and conserves. For this recipe I wanted to do something really Christmassy and what says Christmas more than chocolate truffles? 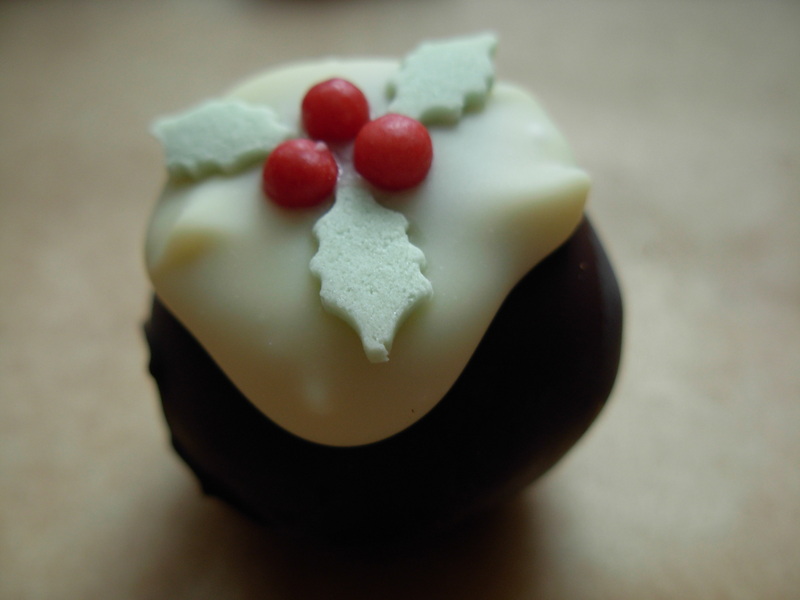 Well, chocolate truffles that look like mini Christmas puddings of course! I always have left-over Christmas pudding as no-one else in my family likes it (silly people! ), so I wanted to develop a recipe which would use it up as I never like to waste food. Mini Christmas puds just scream Christmas spice to me, so I thought it only right to flavour them with Mackays spiced ginger preserve. 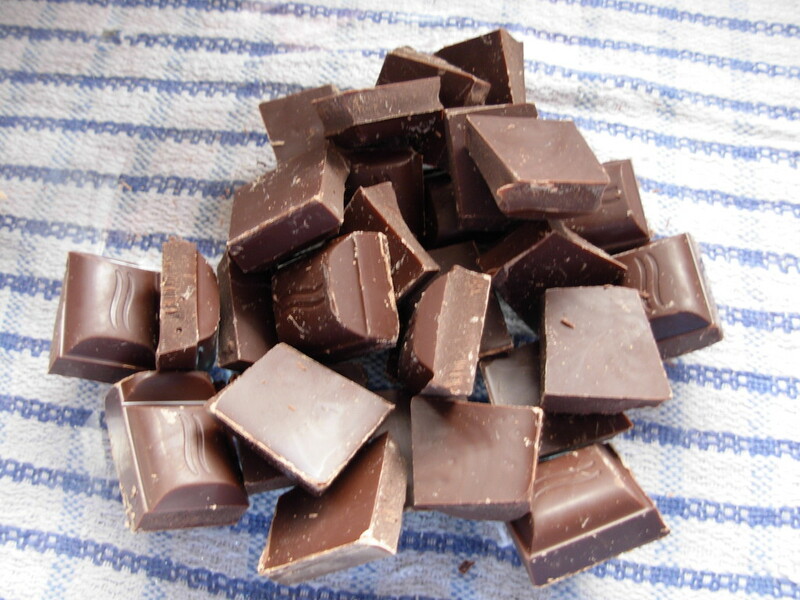 1) Break up 250g (8½oz) of the dark chocolate into a glass or ceramic bowl. 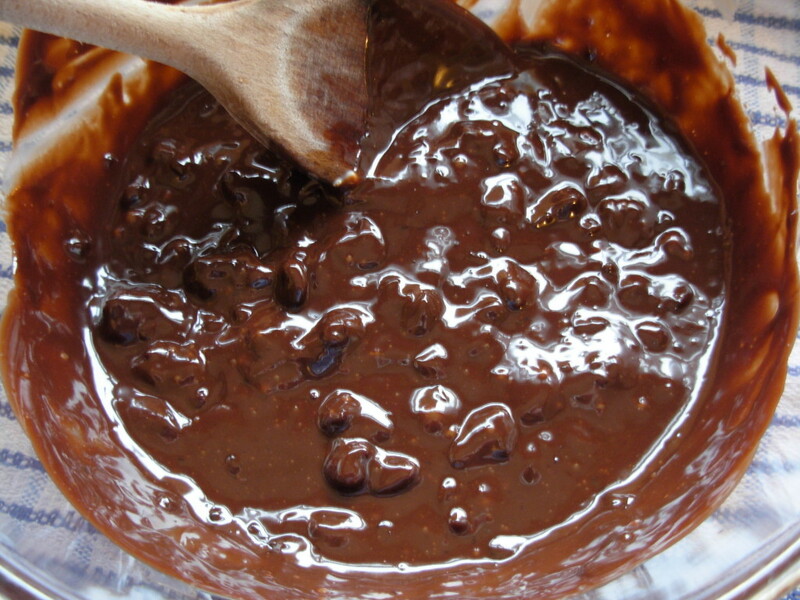 2) Place the bowl over a pan of simmering water to melt the chocolate. The bowl shouldn’t be in contact with the water, as you want the chocolate to melt slowly. 3) Add the double cream, stir in and heat for one minute. 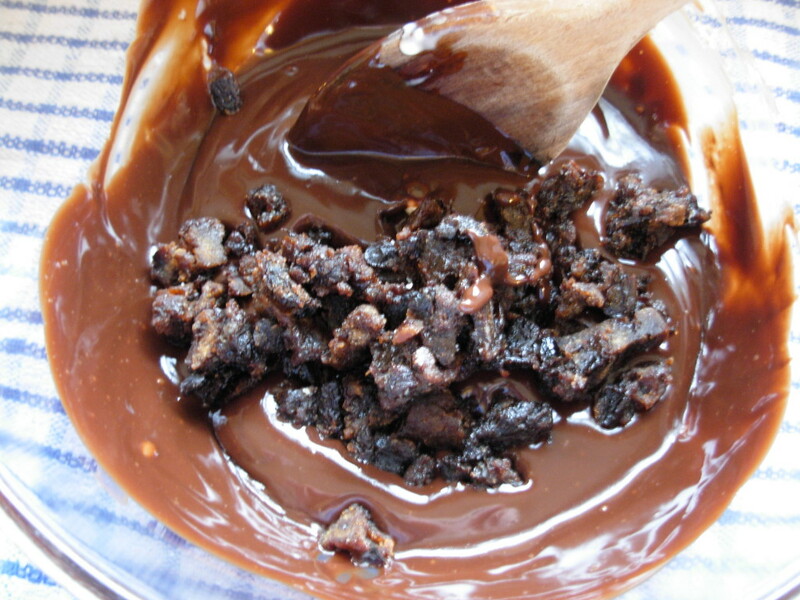 4) Remove from heat, crumble in the cooked Christmas pudding and mix well. 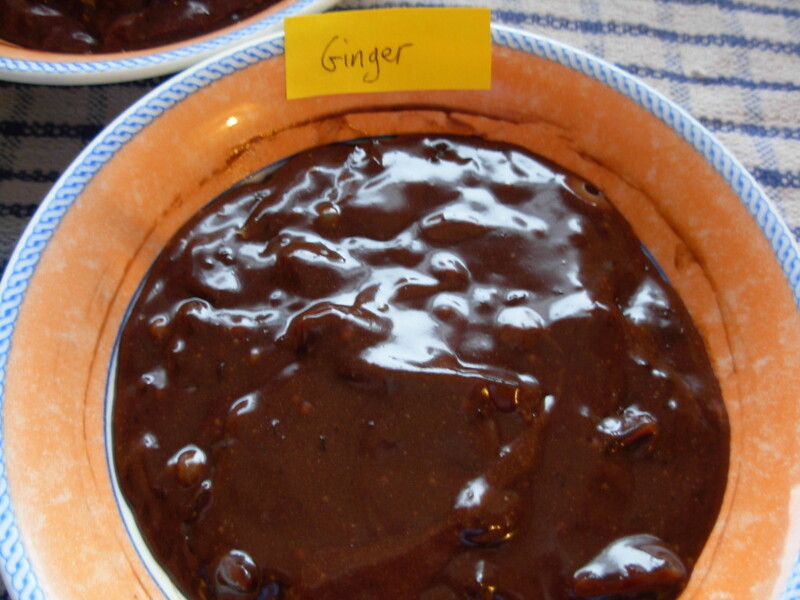 5) Mix in 9 tablespoons of Mackays spiced ginger preserve. Transfer to a smaller bowl. Leave to cool, then cover in cling film and put in the freezer for at least an hour to set. 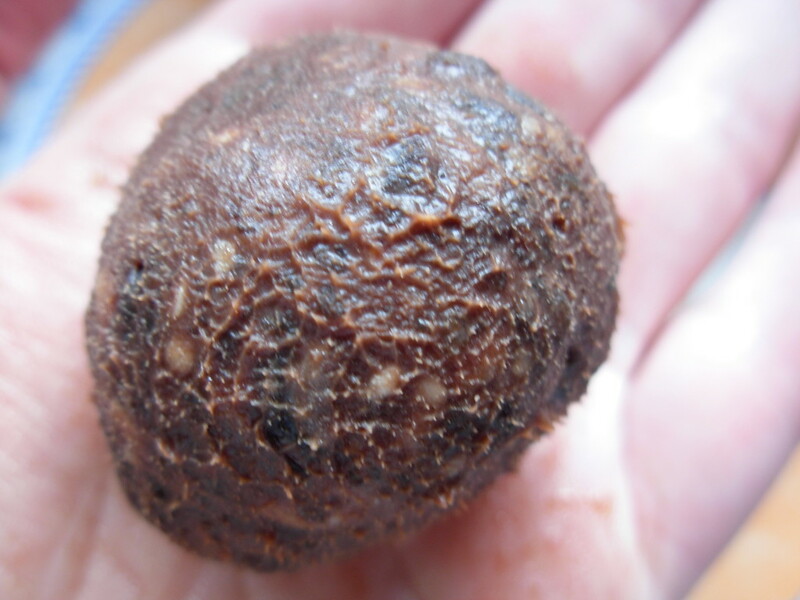 6) Scoop up a heaped teaspoonful of truffle mix and roll in the palms of your hands to form a ball. 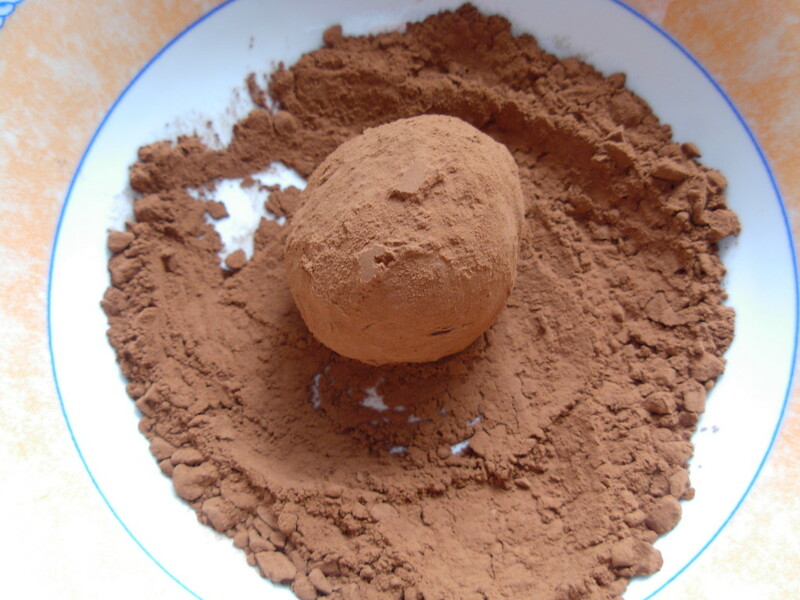 Roll in cocoa powder and dust off excess. Note – If the truffle mix is too soft & sticky to roll, leave in the freezer for longer. If too firm to scoop, leave at room temperature for 5-10 minutes to soften slightly. 7) Place on a baking tray dusted with cocoa & put back in the freezer until ready to decorate. 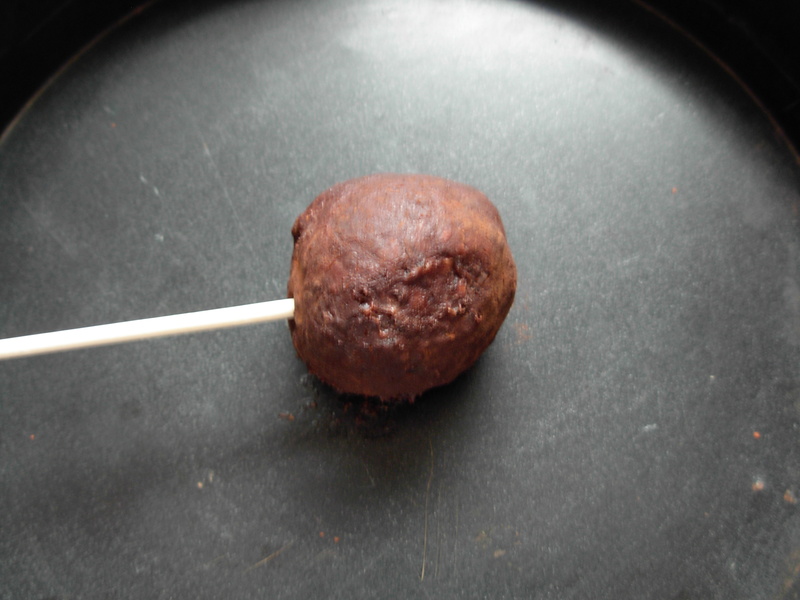 8) Stick a skewer into the base of each truffle. Pop back in the freezer. 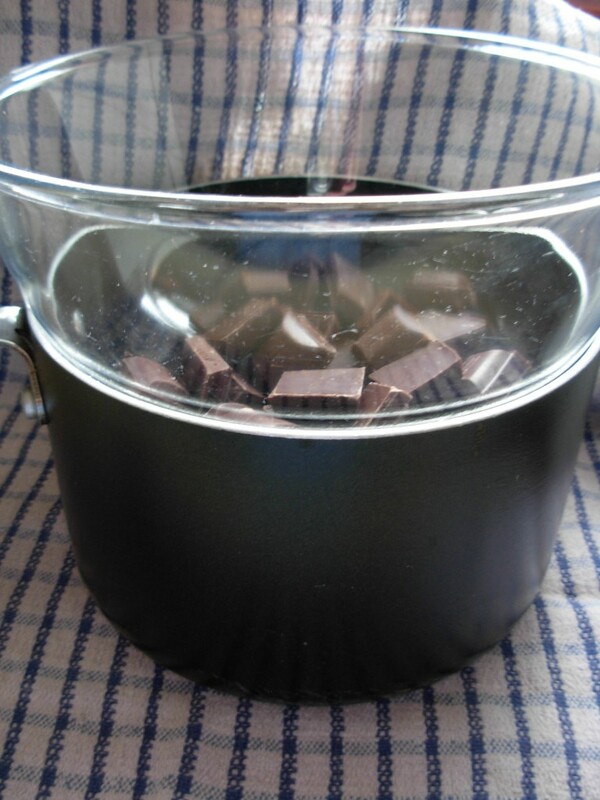 9) Break up the remaining 100g (3½oz) of the dark chocolate into a glass or ceramic bowl. 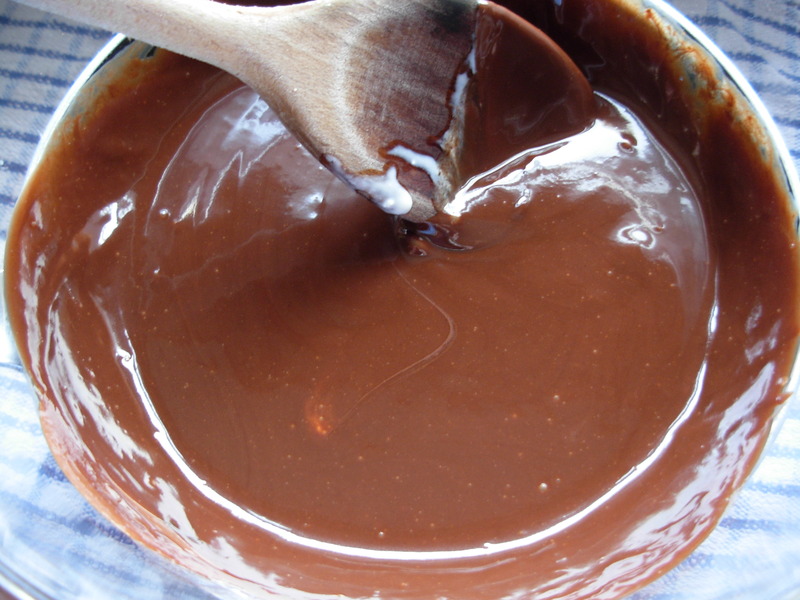 Place the bowl over a pan of simmering water to melt the chocolate. Remove from the heat. 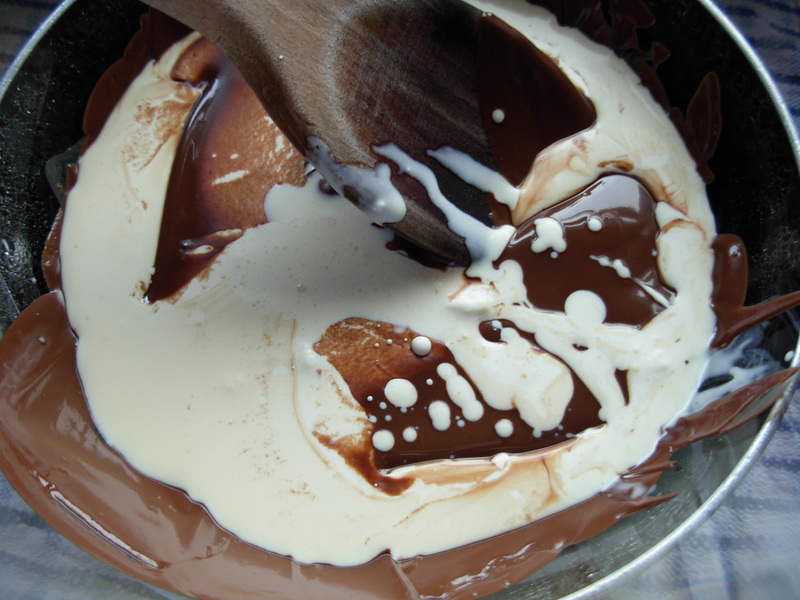 Note – If you want to properly temper the chocolate, so it is nice and glossy, now is the time to do so. I didn’t do this, as I think the matt finish looks more like a Christmas pudding. 10) Dip each truffle into the melted chocolate & spoon chocolate over any parts of the truffle which aren’t covered in chocolate. 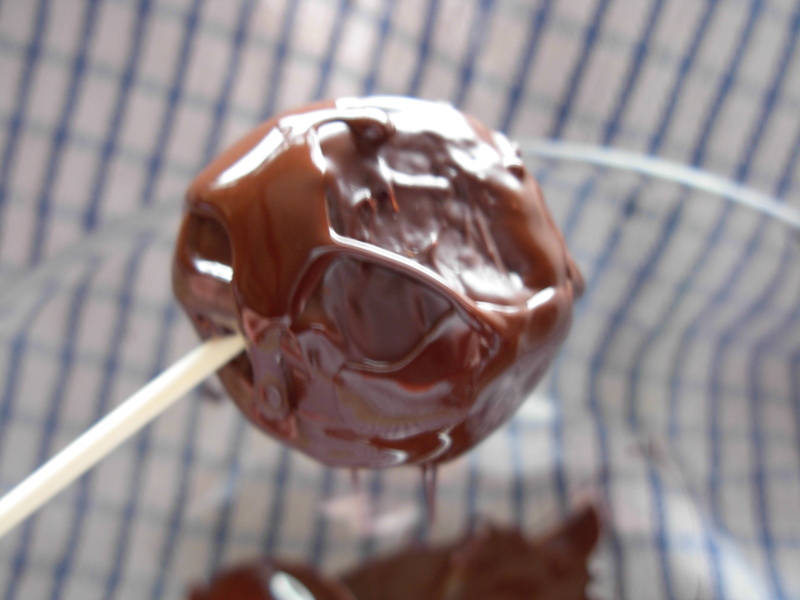 Holding the skewer over the bowl, rotate it gently so any excess chocolate drips off the truffle back into the bowl. 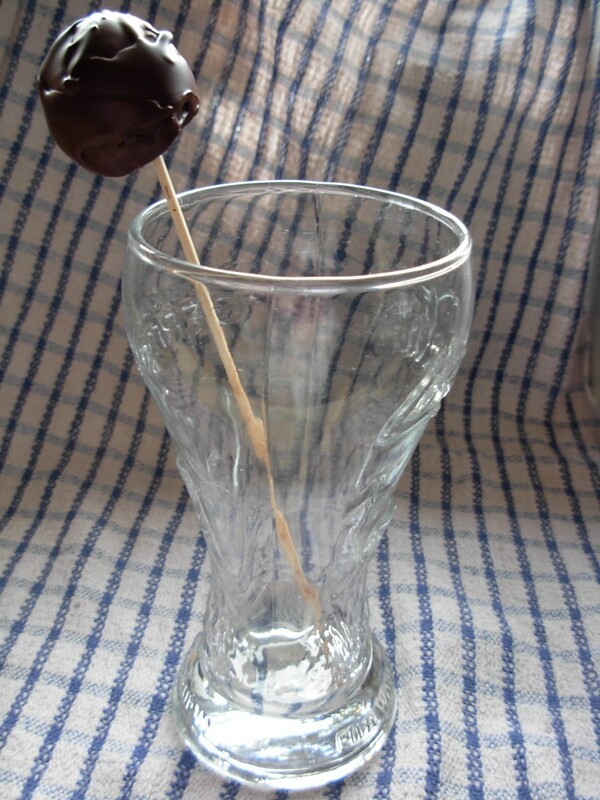 11) Stand the skewers (truffles uppermost) in a tall glass & leave to set at room temperature. 12) Once the chocolate coating is set, remove the truffles from the skewers by gently twisting to break the seal and pull out. Place the truffles on greaseproof paper. 13) Break up the white chocolate into a clean glass or ceramic bowl. Place the bowl over a pan of simmering water to melt the chocolate. Remove from the heat & allow to cool slightly. The white chocolate needs to be hot enough to still be runny but not so hot it will melt the dark chocolate. 14) Take a teaspoonful of white chocolate and drop it onto the top of a truffle, allowing it to flow slightly down the sides. Whilst the chocolate is still wet, add a decoration of three holly berries & three holly leaves. 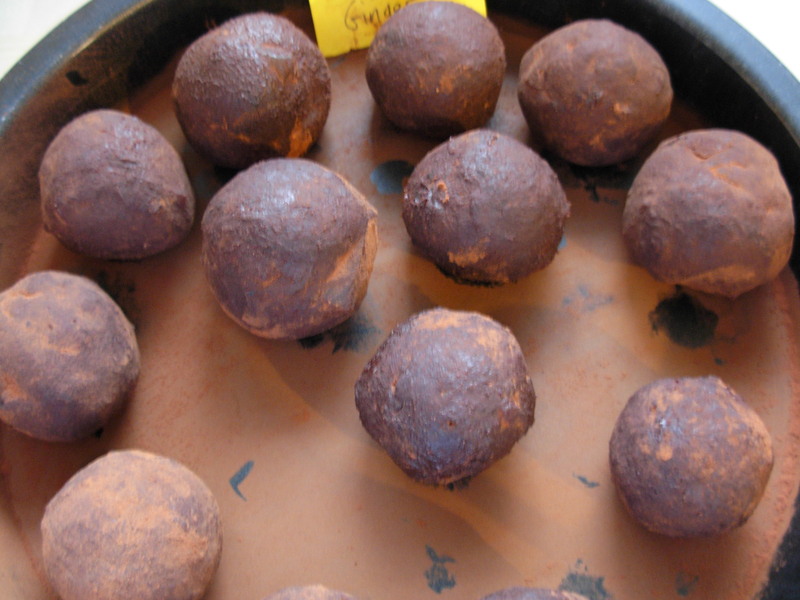 Repeat with the remaining truffles and leave to set at room temperature. 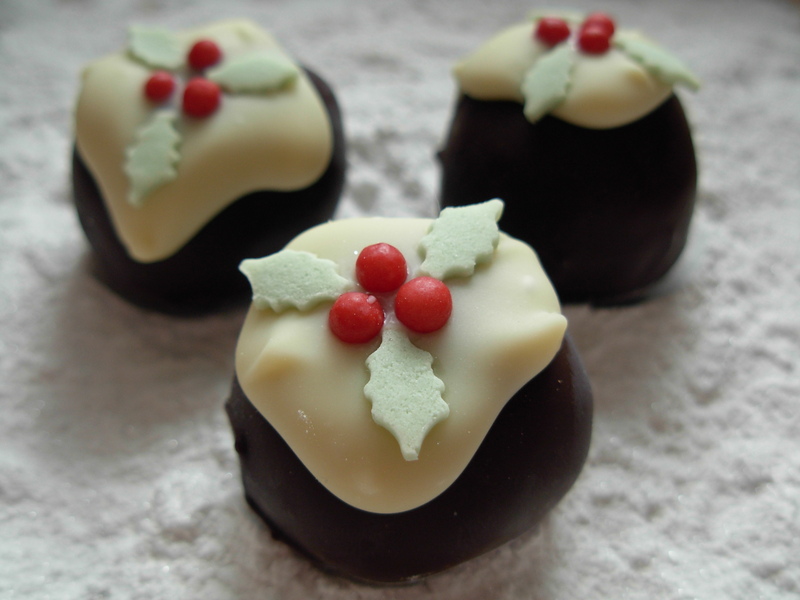 Once I decorated my little truffles, I loved them so much that I decided they would make lovely Christmas gifts. I have frozen them in plastic tubs for now and they should keep well in the freezer for about a month. To defrost I will move them to the fridge, still in their tubs, and let them defrost slowly. The recipient will need to eat them within a few days – oh the hardship! P.P.S. 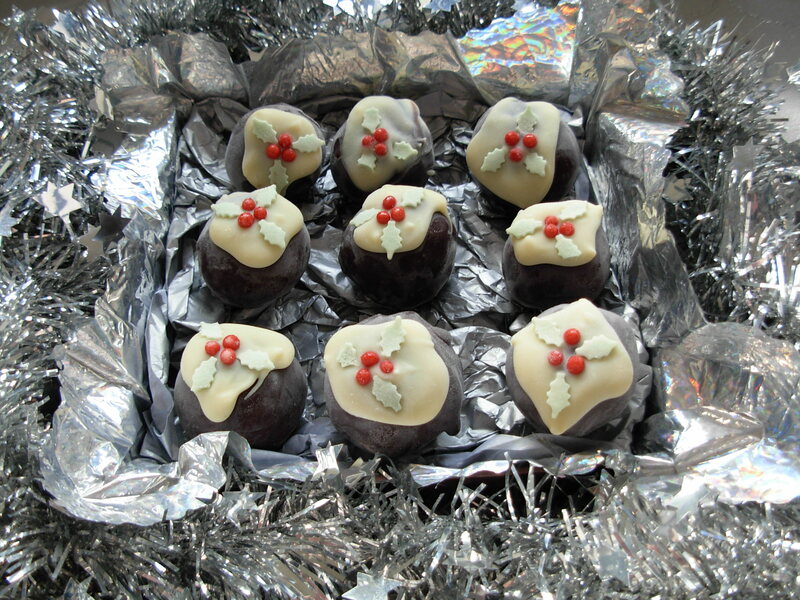 I have decided to enter my Christmas Pudding Truffles into a few blogger challenges. First up the Calendar Cakes bloggers challenge, run by Laura Loves Cakes and Dolly Bakes. Their theme this month is puddings and, although this probably wasn’t what they had in mind, my truffles do include Christmas pudding and do look like Christmas puddings! 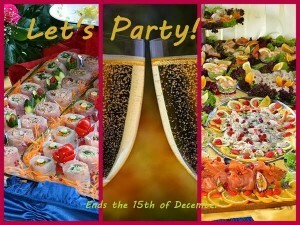 Also the Let’s Party challenge run by Alida over at My Little Italian Kitchen. 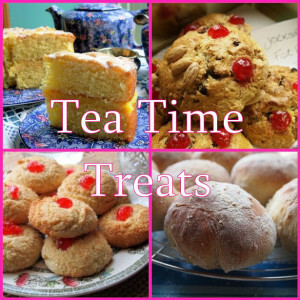 Tea Time Treats run by Karen at Lavender and Lovage and Kate at What Kate Baked. 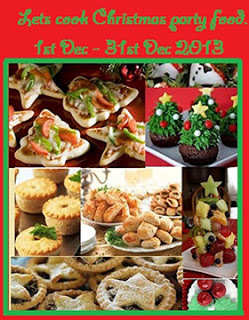 This is Kate’s final month hosting this challenge and she has chosen Festive Foodie Gifts for her grand finale! Here are my little truffles all packaged up and looking very Christmassy!